Russia's ongoing meddling in U.S. politics has many calling for President Trump to take a harder line against Russia and Vladimir Putin. But in an open letter published last month in The Nation, leaders from a variety of disciplines, including Bay Area activist Norman Solomon, made a pointed plea for the United States to shift its approach to Russia, warning that "tensions are festering between two nations with large quantities of nuclear weapons on virtual hair-trigger alert." With the New Start Treaty set to expire in 2021 and President Trump's proposal to equip submarines with low-yield nuclear warheads, some fear that an uncompromising approach to U.S.-Russia relations puts the two on course for another nuclear arms race. 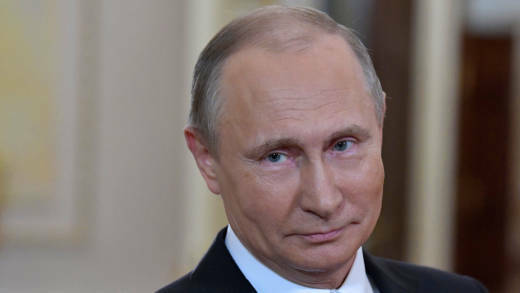 Executive Director of the Institute for Public Accuracy and one of the first signatories of the open letter, Norman Solomon joins us to discuss the need for a renewed diplomatic approach relations with Russia. Norman Solomon, executive director, Institute for Public Accuracy; national coordinator, RootsAction.org; author, "War Made Easy: How Presidents and Pundits Keep Spinning Us to Death."